Tempress® develops advanced hydraulic tools for well intervention and drilling. We have a rich history of product innovation and record setting based on complex fluid mechanics technologies. Our engineers have extensive experience in the field; they develop next generation products and support software while providing 24/7 technical support to our customers. Tempress became a wholly owned subsidiary of Oil States Energy Services (OSES) in December, 2012. Our through-tubing well intervention tools are now used globally for extended reach milling, well stimulation, downhole phase separation, and jet cleaning. We manufacture our own tools and supply them on a consignment basis to our partners who provide the wellsite service. 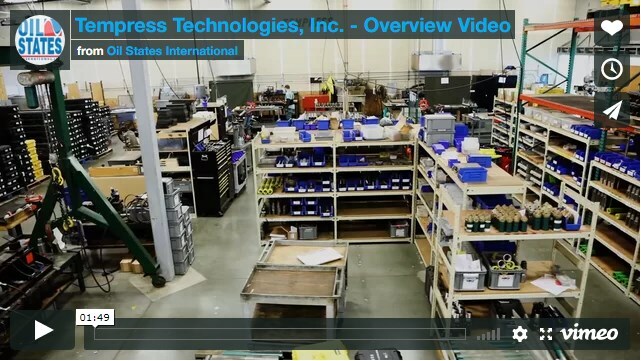 Tempress tool manufacturing and rental operations are managed from our facility in Renton, Washington. Our tools are rented on an exclusive third party basis though OSES and our Distributor Network. Any of our tools can be shipped overnight to most locations in North America and expedited to most global locations. Rental tools deployed at the wellsite are rigorously inspected and redressed before they are returned to service. We maintain an electronic tool rental database and traceable records of material certifications, manufacturing specifications, thread inspection certifications and redress reports for all tools supplied to customers.